How we may soon no longer need to install apps with help from Google and Surprisingly: Apple. It’s the trademarked slogan that defined the mobile world since 2008. Surely, apps seemed to be the way to go. Coding bootcamps that claimed to teach you app development chops within weeks popped up everywhere; products used commercials to go out of their way and show off their new apps; heck, even that family restaurant around the block got its own menu app built. 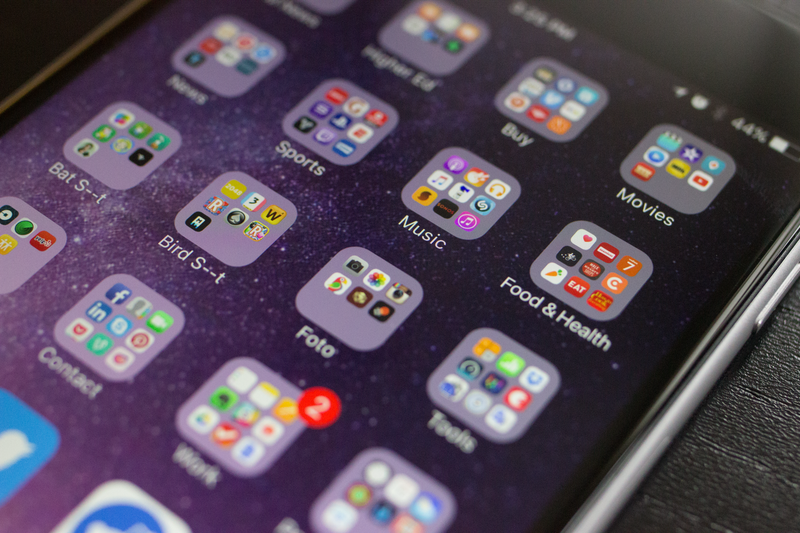 With the release of the App store in 2008, Apple was the first to popularize the idea of nicely packaged, downloadable applications on your phone. However, this concept of centralized software distribution isn’t actually new. Many handheld and desktop devices already had some form of application store built in years before Apple’s App Store debut. The reason why Apple succeeded, in retrospect, is a combination of timing and technology. By 2008, the iOS (then “iPhone OS”) platform was able to offer access to a maturing 3G network, a well-documented development environment, great handheld graphics, and most importantly, the backing of a technology giant. Mobile apps made sense. They were the most efficient way to deliver the newest content and services with native experience and performance. People don’t care how it all works, they just want to throw birds at pigs and show off their #nofilter selfies. The ability to download and run cool apps was the iPhone’s winning feature for a short while. Android soon followed suit. Smartphones became cheaper; networks became faster; handheld processing power quadrupled; apps prevailed. Nothing. But we can do better now. “Better than this app that lets me feed and play with cute cats?” Yep. You see, mobile apps succeeded because of the right combination of fast network and capable handheld processors. Technologies have progressed much further than that in the meantime, and the world of apps has grown beyond a healthy size. Among all of the headaches that follow the impenetrable mobile market today, the two most urgent would be the delivery and discoverability of content. Everyone with a smartphone has experienced this at some point: “Wow, this restaurant/shop is offering 20% off the special entree…oh, but only if you have this app,” or “Wait, I have to download an app for this? I just to want to see what my friend posted.” You probably heard from a friend or saw in a billboard about this really cool app that’ll transform your life, but hesitated to install it, or worse, pay for it. The problem is twofold. Let’s start with the first: delivery. Your average digital couch potato now has a shorter attention span and less patience. Paying for and installing an app, what was once a magical, fast, and smooth experience, is an act of commitment for many nowadays. You won’t believe how many people demand a convincing reason, your heartfelt speech, and your first-born child just to get them to try out a new app. Just think about that one friend who still refuses to download the Messenger app (seriously just get it already). Companies want to deliver content and services to customers as fast and easily as possible, but the increasing reluctance for the perceived installation-barrier is putting up a delivery obstacle. Our home screens are the new San Francisco — space is at a premium. The second problem, discoverability, is a little bit more subtle, but was well articulated by a few tech journalists in the past. Many popular apps, such as Instagram and The Daily, began as mobile-only apps that surfaced great content only within a closed platform. You had to download and register for Instagram in order to see your friends’ Instagram photos. I’m sure that there are many more apps out there today that I’m not aware of with useful content that are not searchable or viewable on your browser. A fragmented Internet where creative and original content are locked up in proprietary platforms is not the Internet we know and love. Now that we understand the problems, let’s take a look at the current solutions. The word “app linking” may not sound familiar to you, but every time you tap on a YouTube link in another app and the YouTube app opens up to play the video, you’re experiencing it. Google, Apple, and Facebook have all implemented variations of this technology. 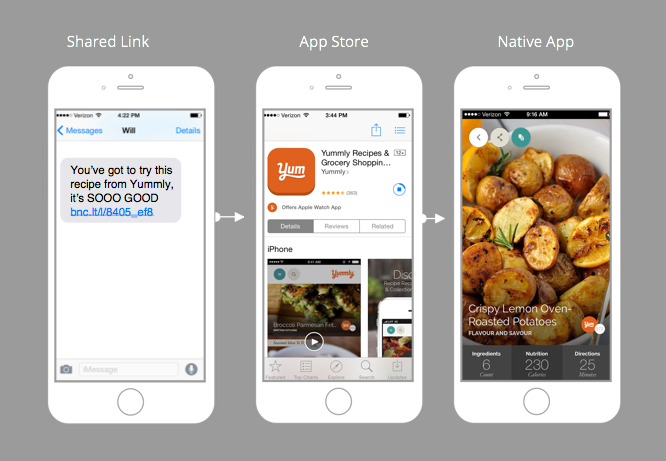 App linking brings you to the app that best presents the content you want. Great. The other half of our existing solution to compliment app linking is app indexing. Google and Apple have provided ways for third-party content providers to show their own in-app content in a search query, allowing previously locked away content to surface on Google and iOS Spotlight. Perfect. That seems to have solved our delivery and discoverability problems. User searches for something, in-app content shows up in the results, user clicks the link and gets brought into the app. You might have already noticed the problems here. What if the app doesn’t support app linking and indexing? App indexing requires the content provider to actively put effort into implementing it, so by default, your content is not visible to the world wide web, exactly opposite of how most web-based content work. And only until recently, in order for your app to be indexed by Google, developers had to build mirroring web versions. Just imagine the troubles. On the consumer side, what if I don’t have that app to begin with? What if I don’t want to install that app just to read an article? The list goes on. Think about that one time when you tried to check out something and it redirected you into App Store instead. Very annoying. And no, no one wants to install your app. I don’t want to maintain a walled garden of apps. I want to consume and create content. Just get rid of “apps.” Let’s see how we might be able to do this. Google’s approach to the delivery and discoverability problem has relied on app indexing and linking. If the developer puts in the effort, users can see previously mobile-only content surfacing on Google search results. This is great for Google to stay relevant in a mobile market that is increasingly reliant on native app content instead of web search. But in countries like China and India, where mobile phones are the first computers for millions of people and mobile-only content is king, where does a search engine provide their links to begin with? Suddenly, “everything is just a Google search away” loses its magic. Roughly four months ago, Google rolled out an impressive technology that almost no one remembers — App Streaming. It does exactly what it sounds like; instead of installing applications like we’re used to, you tap a link to the content and Google will stream the right parts of the app to you on-demand. No need to install it, ’cause you’re already running it. It might be Google’s first pilot experiment of their cloud platform, but the idea of streaming applications onto your phone is not new. In fact, the very technology itself was bought by Google from Agawi a few years back. Combine App Streaming and App Indexing, suddenly you remove the two barriers to all information previously locked away in mobile apps. While Google’s fantastic solution is still in an experimental stage, Apple is nudging its developers in more or less the same direction, albeit characteristic of Apple, in a less obvious or more incremental way. On-Demand Resources (ODR) is a technology released with iOS 9 that downloads a small core application only on installation, and then downloads extra parts and content as needed. ODR currently is being used mostly in games, where a user only downloads the assets (graphics, videos, etc.) for a few beginning levels. iOS will then download more levels as the user progresses, and delete assets for completed levels to make space. How does this mirror Google’s approach? It doesn’t. However, if ODR becomes commonplace and the supporting infrastructure is flexible enough, you can reasonably imagine Apple extending the framework to a more general use case. In any case, they got this wonderful tool under the belt that will potentially blossom into a form of install-free applications. 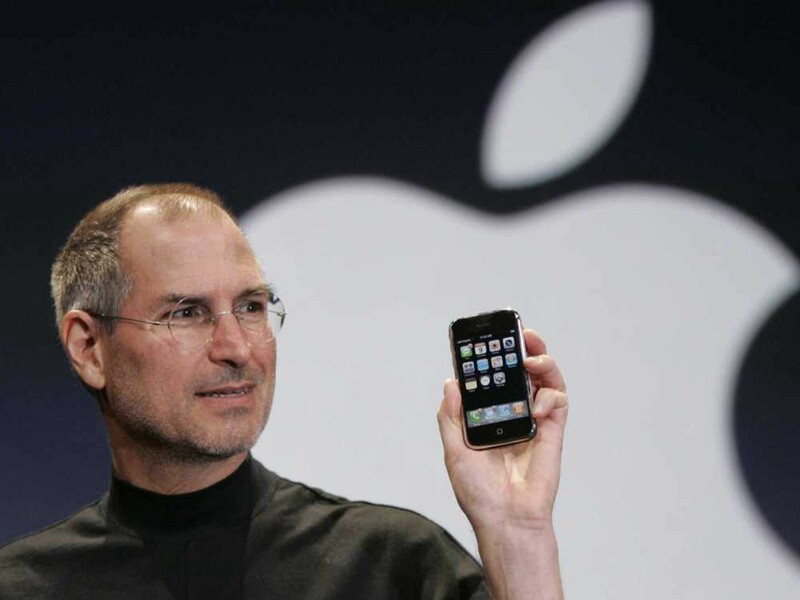 While we’re on Apple, I want to bring up Steve Jobs’s vision of the first iPhone. You might still remember fondly that the first iPhone was a closed platform with no developer environment or third-party apps. His solution? Web apps. Web apps don’t need to be installed. They run (relatively) securely in closed browser environment. They are web friendly, meaning they can be indexed and surfaced by search engines. Oh wait, isn’t that exactly what we want today? Probably. This is probably the one billionth time you’ve seen this picture. But I’ll put it up anyways. A lot of what app streaming offers competes with other sophisticated web app technologies (React Native, etc.) that are quickly closing the gap between native and web. However, one decisive differentiating factor would still be the native look and feel or possibly performance that web apps sorely lack. There is just no perfect solution yet. On top of it all, what we really need is a platform-agnostic solution to app streaming that truly overcomes content delivery and discoverability problems. We want something akin to Java applets on browsers (yikes) on mobile. Imagine the possibilities: regardless of the OS or the brand of supercomputer you have in your pocket, you will be able to run an app and view its content with zero friction and with native feel and performance. As for developers, you can write an app once and stream it to all devices and browsers. With Google streaming apps to your phone and Apple nudging developers to store parts of their apps in the cloud, we may have just entered the beginning of a future where installation becomes obsolete and the border between “website” and “native app” is blurred. This is a future without apps. And it’s wonderful. The user forefront of all these insanely complex, powerful, and cool technologies is one of ultimate simplicity and elegance. Welcome to a future without apps. Hope you enjoyed the post. To serve our readers better, Fwd: Thoughts and I have unfortunately left Medium. If you would like to read more posts like this, please take a quick second and follow us on Twitter or Facebook. You can have our new posts delivered right into your inbox if you sign up for our spam-free newsletter. You can also follow me personally on Twitter, where I can share a variety of good information on design and technology with you. A collection of musings on product, design, and business.